Larry Michael Lunsford died unexpectedly in his home in May, 2018, in Burlington, NC at the age of 69. Larry was born on November 17th, 1948 in Roxboro, NC. He graduated from Western Alamance High School in Elon, NC, afterward attending Appalachian State University. In 1968 he joined the US Navy, earning a National Defense Service Medal before his honorable discharge. 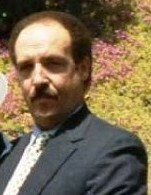 In San Diego, Larry began working for the San Diego Sheriff’s Department. In 1983 he met Amye, whom he married two years later. In 1987, Larry began a new position with the Department of Justice’s Bureau of Narcotic Enforcement. Two years into that career, their daughter, Ashley, was born. In 1999, after retiring from a 21-year law enforcement career, Larry relocated to the east coast where he began a new segment of his life, reconnecting with family and becoming a licensed private investigator. In 2012, Larry retired and bought a home in Burlington, where he’s resided since. Larry is survived by his daughter, Ashley Lunsford, nephews, Jason Lunsford and Justin Lunsford, and great niece, Jaidyn Lunsford. He is preceded in death by his younger brother, Alan “Bryan” Lunsford, his father, Edward “Eddie” Lunsford, and his mother, Mildred “Mickey” Lunsford (neé Ashworth). Burlington VFW Hall, at 2:00pm. All are welcome; in lieu of flowers, please make donations available to the VFW post #10607.